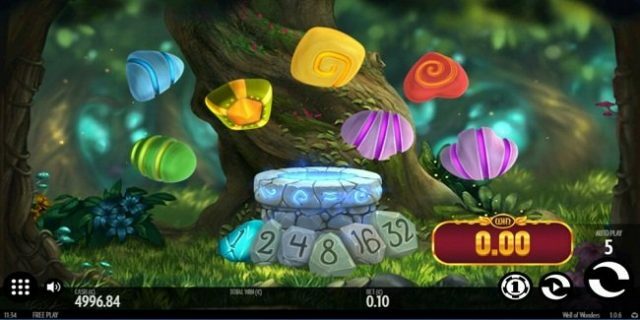 Well of Wonders is an online mobile slot game powered by ThunderKick software platform. This colorful slot is a unique slot game which features best playing interface. 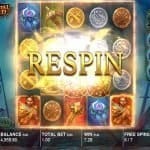 Minimum coin size for this slot starts from 0.1 per spin, while maximum can be 10 per spin. You can play this slot at any ThunderKick Casino for real money. The graphics and the background music of this wonderful slot are awesome. 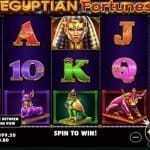 You can play this slot by using mobile phones as well as on your desktop. The slot offers a jackpot as well. You should adjust your coin size before starting the game. The ‘Number Coin” can be used to Open the betting panel to set the coin size, “spin” option can be used to Turn the reels once you set your bet, while the ‘auto Play’ of this game can be used to play the game for a number of times without any interruption. If you hit 3 or more same symbols on active paylines, yo will form winning combination and when a winning combination is form, you will be paid out. After being paid out all the numbers/symbols will be replaced. The game offer multipliers like x1, x2, x4, x8, x16 and x32 of your total bet. The dark blue stone is the wild symbol in this game which can substitute all other symbols when determining winning combinations. 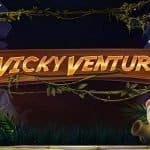 There is a fairy feature available in this game and it gets activated when there is no win. This feature will remove all the symbols appearing in the singular and will give you respin option. ThunderKick gaming software is one of the best casino gambling software platform, which always produces best of the mobile slot games.